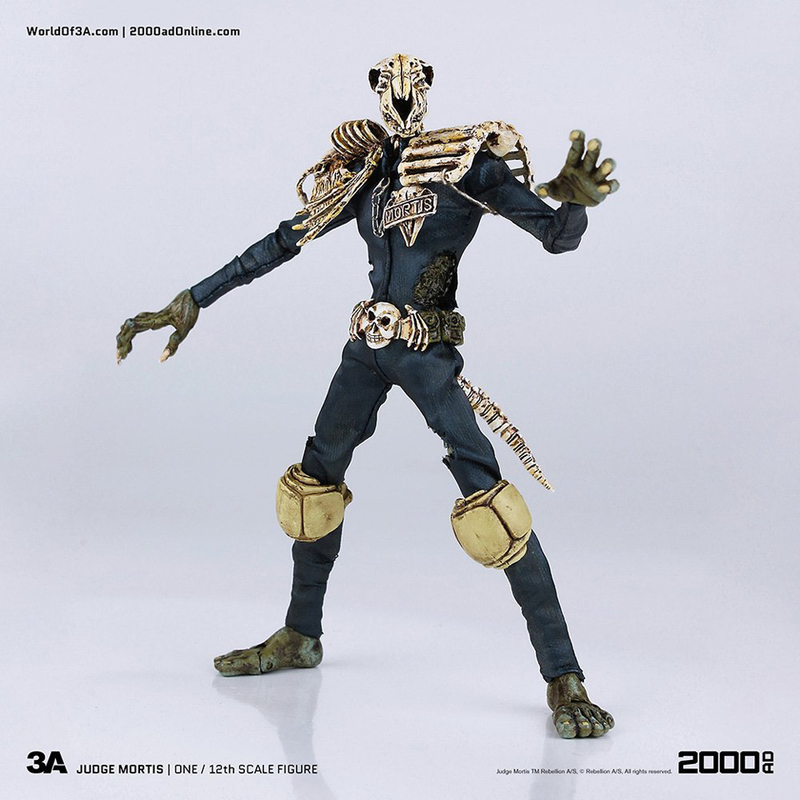 3A follows up the ghastly Judge Fear with his bored and brutal buddy, the bony Judge Mortis. 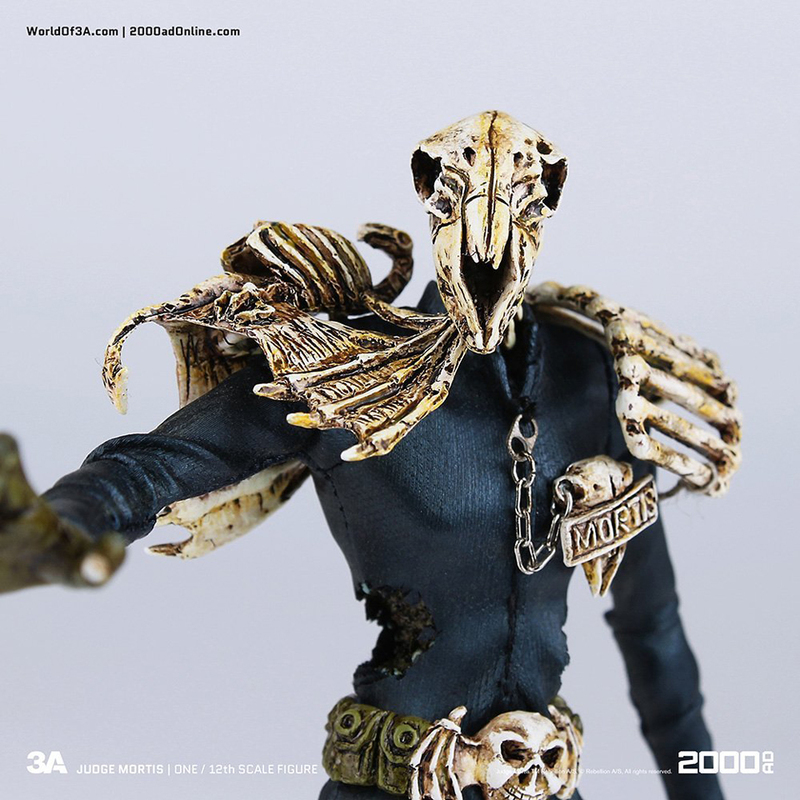 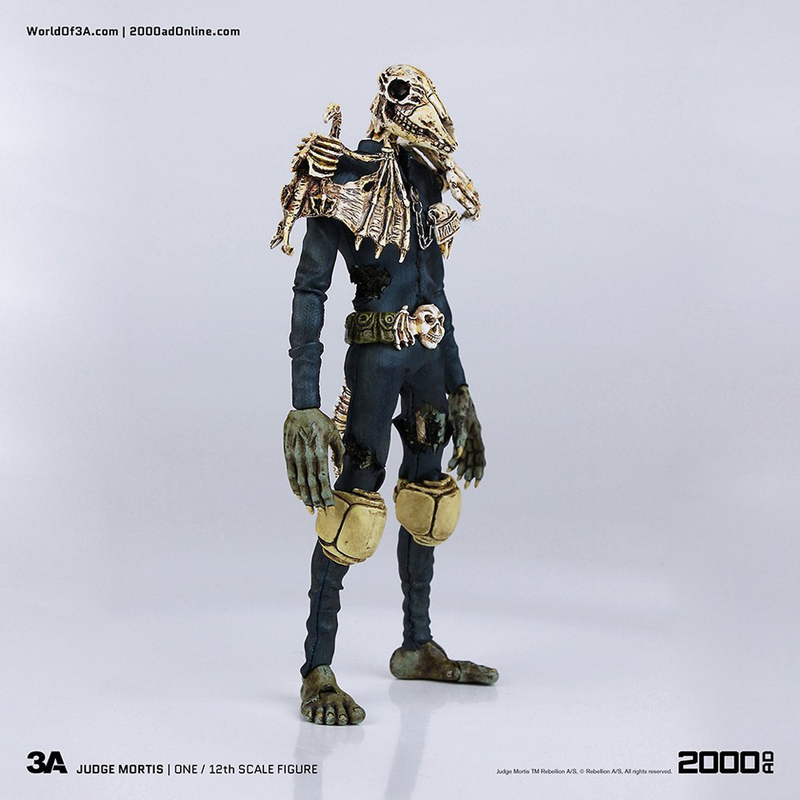 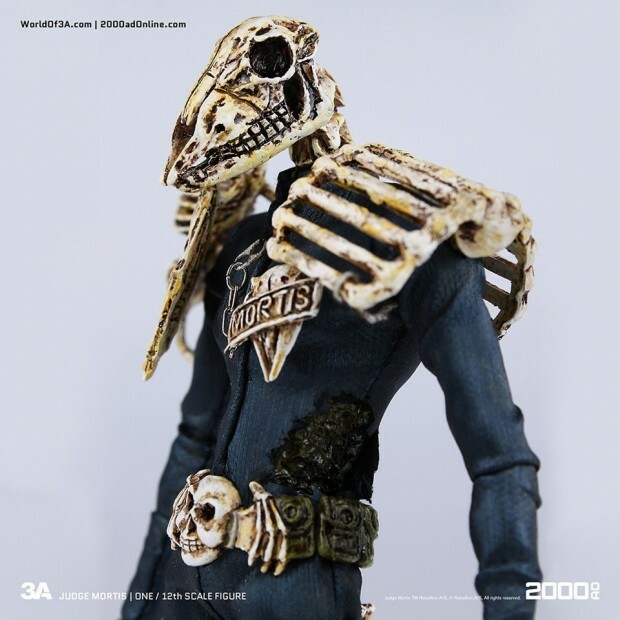 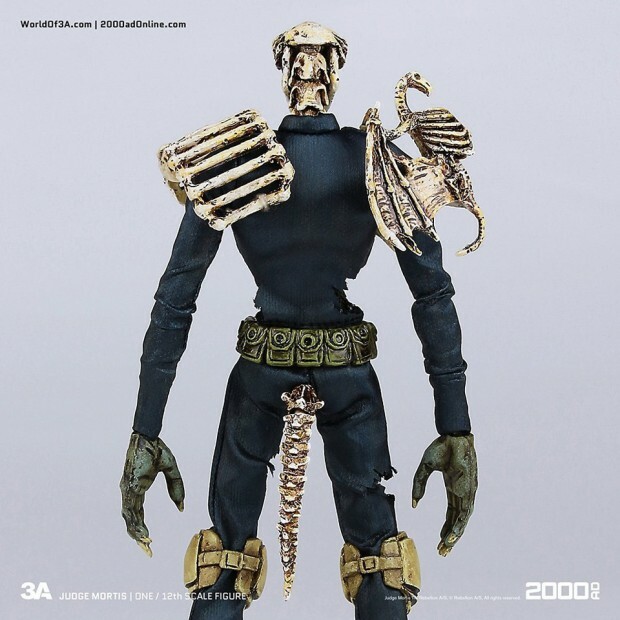 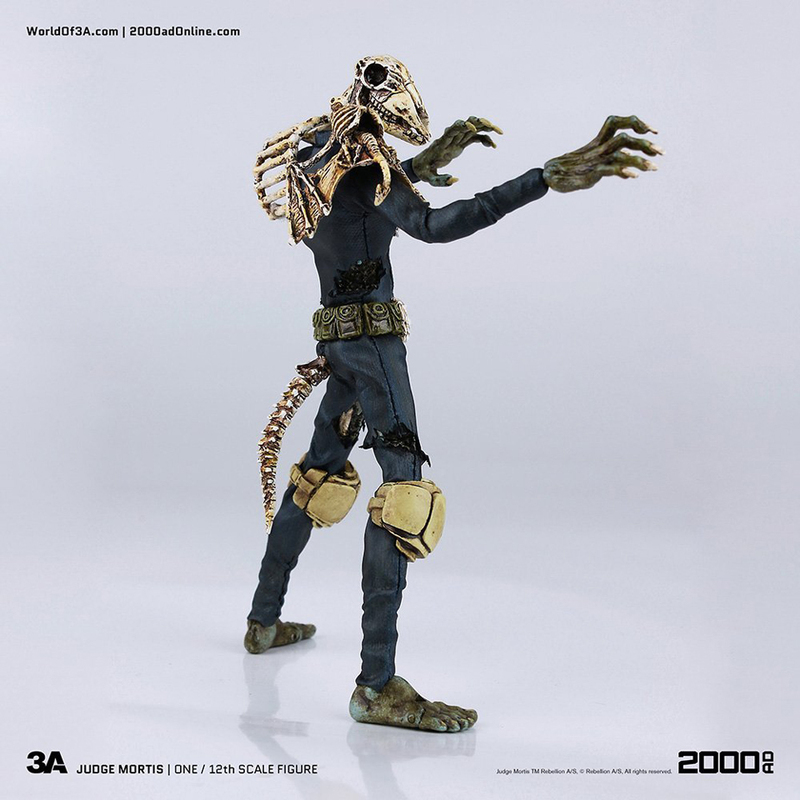 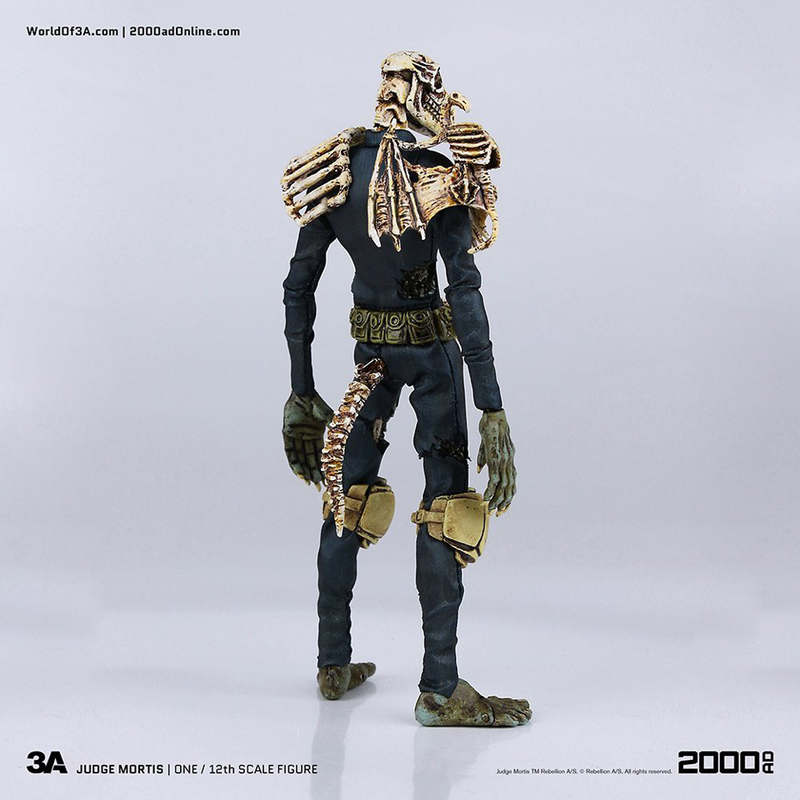 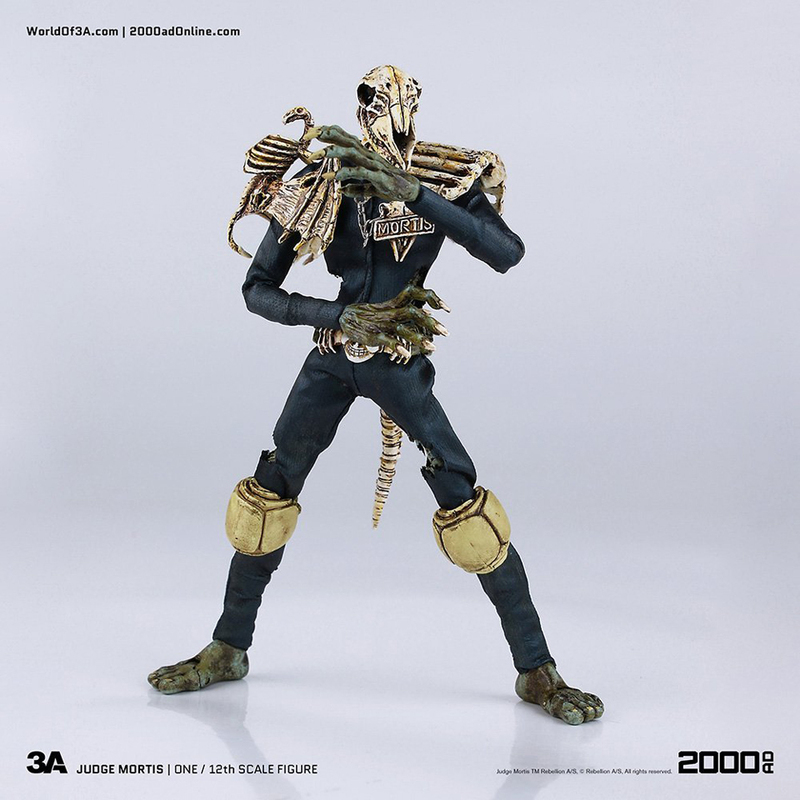 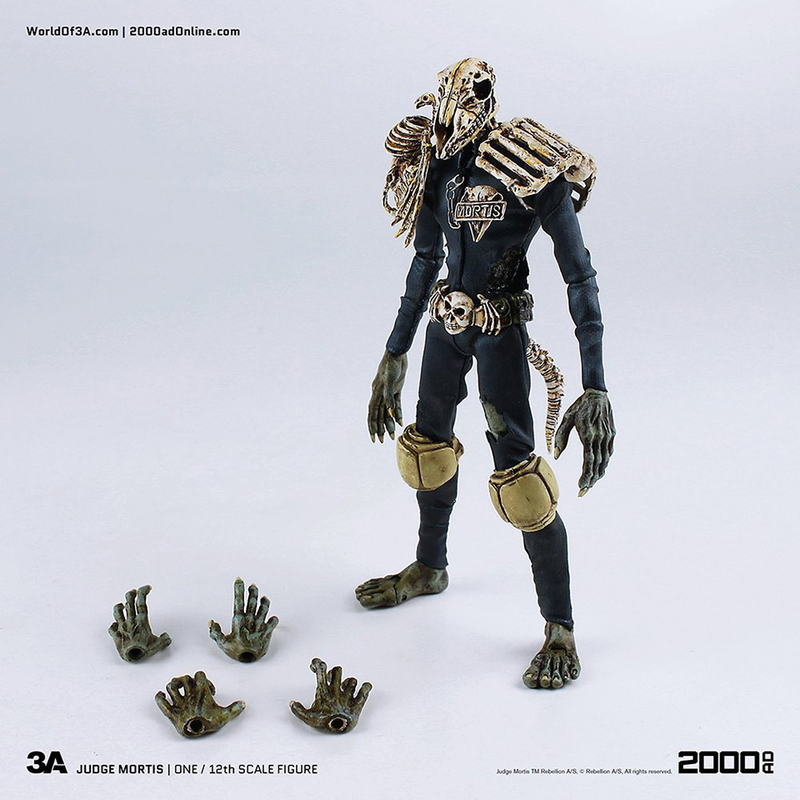 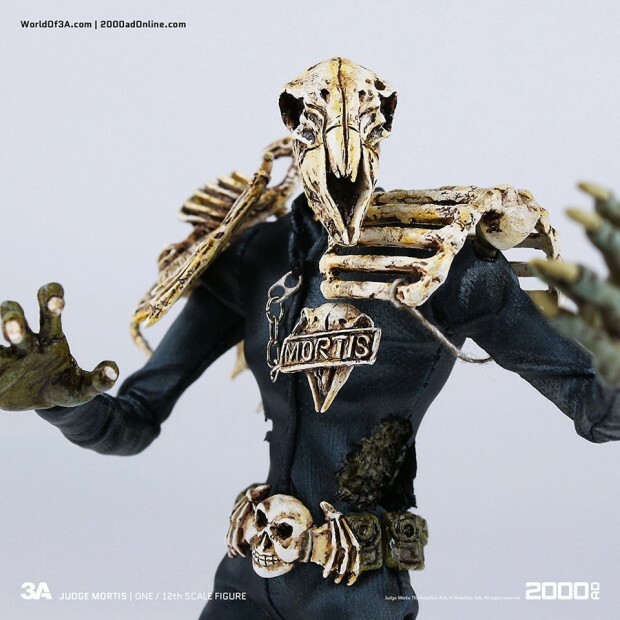 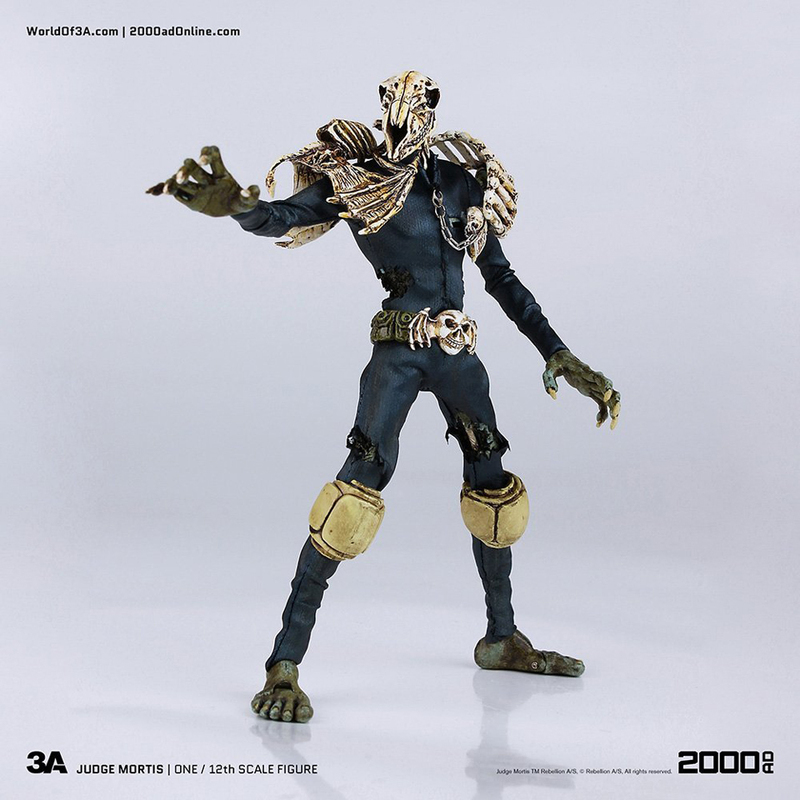 The 6.6″ figure is fully articulated has six interchangeable hands and a faux leather suit with holes that expose his skeletal frame. 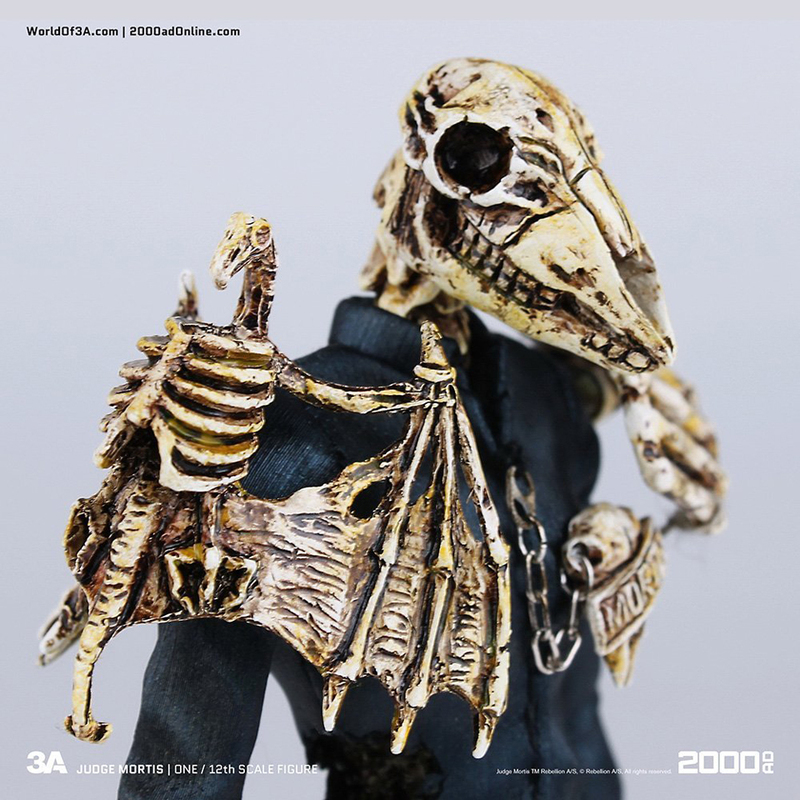 You can pre-order it now from Bambaland for $65 (USD).